PLEASE READ THE INFO BELOW IF YOU WISH TO RETURN FOR REFUNDS OR EXCHANGES. NO STRONG SMELLS – DOG, SMOKE, HOUSE SMELLS ETC. 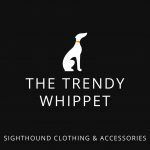 Please contact info@thetrendywhippet.co.uk for all returns information.